FMB900 features new case design which ensures increased protection against dust ingress and water splash from any direction. It is certified according IP54 protection class. 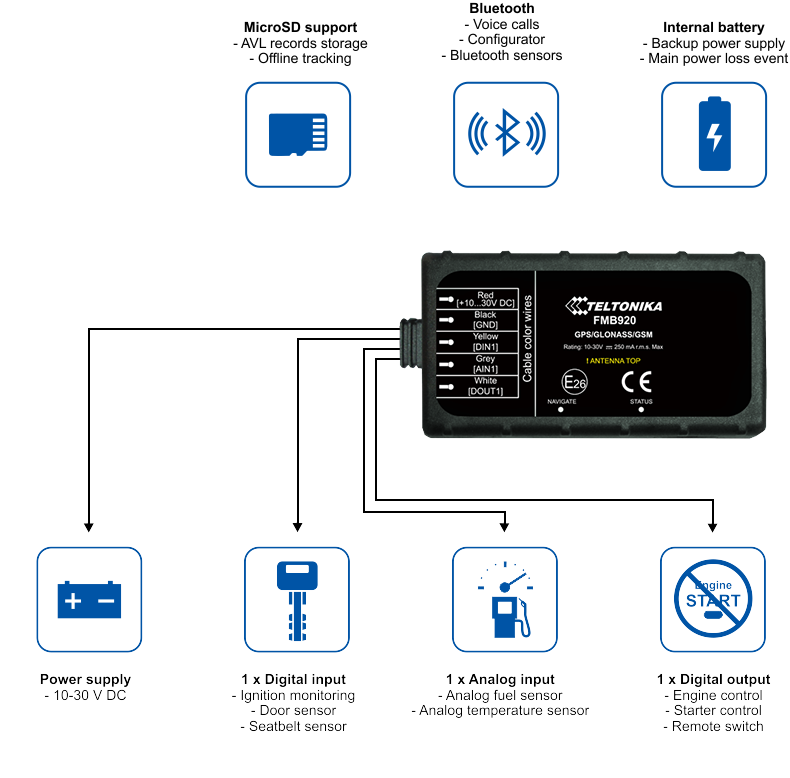 FMB900 with IP54 case can be installed in machines with increased posibility of dust and water ingress.